As the Dubai World Championship approaches, Rory McIlroy is battling a virus that could severely damage his hopes of following up his recent Hong Kong Open win with another success here. 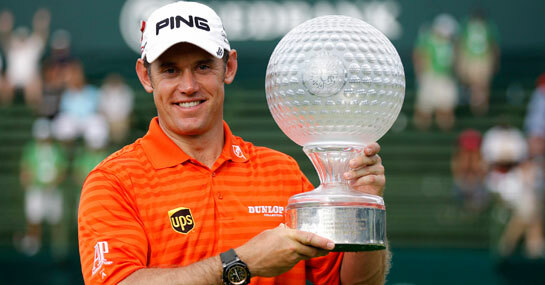 Lee Westwood is 5/1 favourite to round off an impressive year which saw him claim the Indonesian Masters Title, as well as a third-place finish in the US Open, and a recent triumph in the Sun City Challenge tournament. McIlroy remains high up in the betting despite his illness concerns, with the US Open winner available at 6/1 to end a year that has seen him cement a reputation as one of the hottest up-and-coming talents in the world in style. Meanwhile, Luke Donald needs to finish in the top eight to maintain a spot at the pinnacle of the world rankings, and whilst an elusive first Major title still evades him, Donald could pose more of a threat in this tournament of less prestige, and the 10/1 odds attributed to him look generous. Ladbrokes are paying out for five places and so each-way betting on golfers at longer odds could be a good way to make money on the Dubai Open Championship. South African Charl Schwartzel, for example, should be respected in the betting, and after proving he has the mental strength to match his undoubted playing ability by clinching the 2011 Masters, odds of 20/1 could be too long. The form of Graeme McDowell has not been brilliant throughout the year, but for that reason the talented Ulsterman’s odds to win the championship here are much longer than you can normally find on him. ‘G-Mac’ is 25/1 to end a shoddy year with a credibility-building victory, and should he be able to reproduce any semblance of the form that saw him take the 2010 US Open title, that could prove a very shrewd punt.